SBI PO Online Application Step by Step Process available to apply Online for the SBI PO Jobs 2019. A huge number of candidates are trying to fill and submit the SBI PO/ MT Application Form. But most of the candidates are facing many issues while submitting the State Bank of India Online Application. Check the SBI PO Online Application Important dates in the following sections. To avoid the Server Issues in SBI Careers and to apply for SBI PO Recruitment through SBI Online, check out simple solutions on this page. The State Bank of India emerges as one of the leading Banking sectors. Every year, it releases a Recruitment Notification to fill 2000 vacancies under its department. In a similar manner, it has issued an Advertisement Form to fill Probationary Officer vacancies. Job seekers can utilize this golden Opportunity. The interested candidates can check the State Bank of India PO Recruitment Notification from our page within the fraction of seconds. After checking the eligibility criteria, the eligible aspirants can go through the online application process @ sbi.co.in You can check the complete details regarding the SBI PO 2019 Online Application process, registration steps here on this page. Are you searching for the SBI PO Online Application 2019? Then you are at the correct place. Recently, the SBI has issued a Recruitment Notification filed under SBI PO Recruitment 2019. The State Bank of India is looking for the most eligible contenders to fill 2000+ Probationary officer posts. It is great news for all the unemployed contestants. Aspirants who wish to make their career in Banking Sector can apply for the Probationary Officer Jobs. 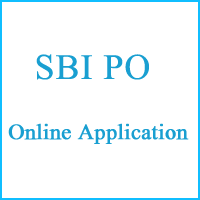 In general, the SBI PO Online application is available at the official site. You can check the registration steps, application fee details here in this article. Name of the Post: Probationary Officer Posts. The State Bank of India clearly mentioned all the Recruitment details on the Advertisement Form. The Online application fee varies according to the category. As per the official announcement, the interested candidate has to pay the application fee either through Online mode such as Debit card/ Credit card/ Internet Banking. The individual is solely responsible for the details entered during the Online commencement of Application. The contenders have to submit the application before the completion of the last date. Category wise Fee Details is available below. For General/OBC: Rs.750/- with intimation charges. For SC/ ST/PWD/XS Categories: Rs.125/- with intimation charges. The State Bank of India PO online Registration Process involves a sequence of steps. The applicants have to follow the each and every step during the registration phase, online commencement, fee payment modes. First of all, the interested candidate should complete their Registration Process. During Registration, enter your name, mother name, father name, educational details. Upon the completion of the Registration process, the user id and the password will be issued. Now, the candidate can Login with their User Id & Password to proceed to the Application process. Enter all details such as educational details, mother tongue, contact details, reservation category (if any), annual income, postal address for the communication etc. Later, the candidates should upload the scanned images of their Photograph, Signature, and self-declaration. Now, tick mark the Declaration tab. With this, your Application form filling and checking process is completed. Finally, submit the Application on clicking on Submit Button. Take Printout of SBI PO online Application for future reference. Fill the SBI PO Online Application with the proper data. Follow the given appropriate format. Scan all the documents, duly signed Signature properly. Starting Date for Submission of Online Application: 2nd April 2019. Last Date for Submission of Online Application: 22nd April 2019. Prelims Admit Card: 3rd Week of May 2019. SBI PO Prelims Exam Date: 8th, 9th, 15th & 16th June 2019. PO/ MT Prelims Result Declaration Date: 1st Week July 2019. SBI PO Mains Exam Date: 20th July 2019. PO Mains Result: 3rd Week of August 2019. Personal Interview/ Group Discussion: September 2019. Fill and submit the SBI Online Application from SBI Careers Tab. Prepare for the SBI PO Recruitment 2019 using the SBI PO Previous Papers, SBI Probationary Officer Syllabus and Exam Pattern 2019. Be careful while filling SBI Application Form. The applicants can refer the SBI PO Syllabus here on this page. Hope this information will definitely help you during the preparation. For getting any latest news, you can check the SBI PO Recruitment Notification given below.